The Alabama Music Hall of Fame and a really cool car! Before July hit the skids I headed with my mom to the Shoals area for a bit of music history. 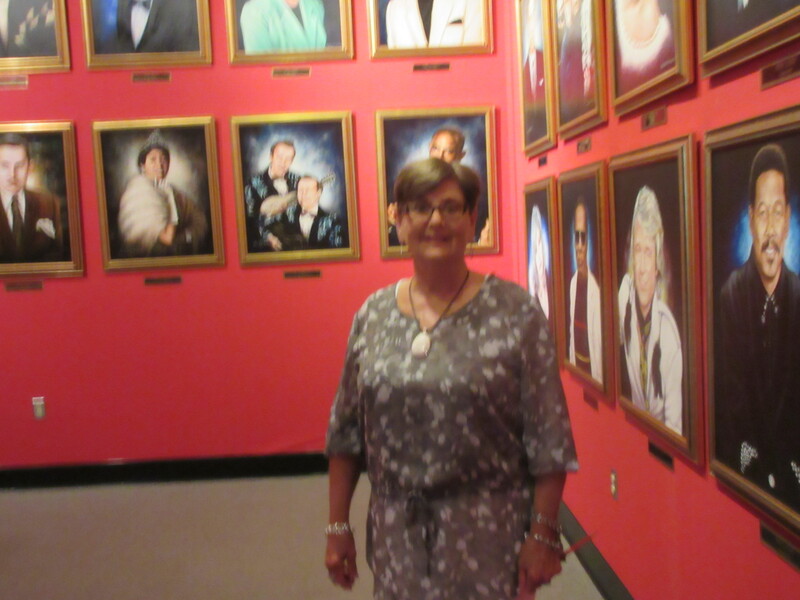 Georgia Carter Turner of the Florence/Lauderdale Tourism took us around and after hitting the recording studios we finished off our music history with a stop at the Alabama Music Hall of Fame. It was fun to see the paintings of the inductees and try to figure out their relationship to music. There were legendary artists like Lionel Ritchie and the Memphis Sun Studio’s owner who started the Rock and Roll scene, Sam Phillips. On into the museum we saw cast plasters of Alabama and Hank Williams Jr. to name a few. The band Alabama even donated a tour bus and visitors seemed to enjoy every aspect of this museum that pays tribute to all. 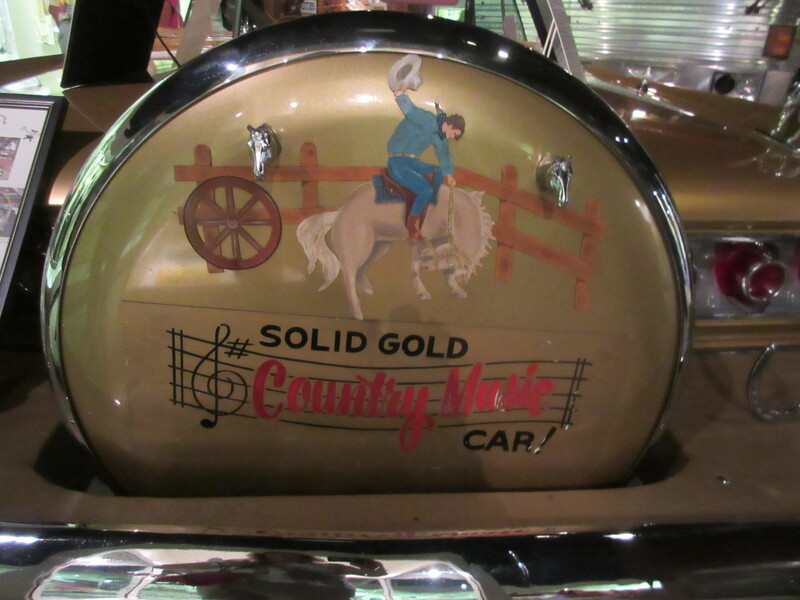 I will have to say though, that for me, the most unforgettable item at the hall of fame was Web Pierces 1960 Pontiac convertible “Golden Country Car” that has more than 500 silver dollars and 12 silver guns mounted in and around the car. The creation was topped off with Texas Longhorns mounted on front! While we were there, the Cadillacs were playing and they parked their pink Cadillac with a facsimile Elvis inside. 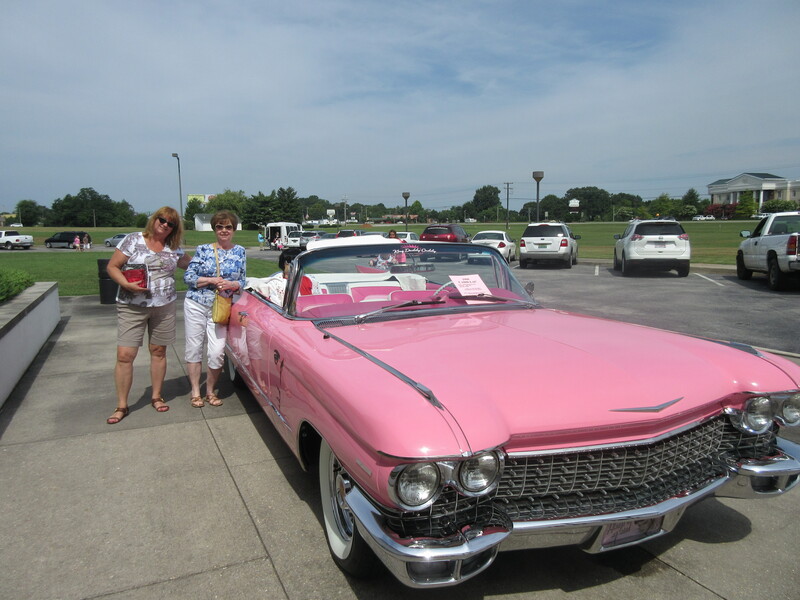 Of course, we had to take a picture or two, who can resist a pink Cadillac or Elvis? Check out the Music Hall of Fame at http://www.alamhof.org/. Next Post: Get ready, Half a Century 2015 is coming to town!